Photos courtesy Madison County Fire Department. 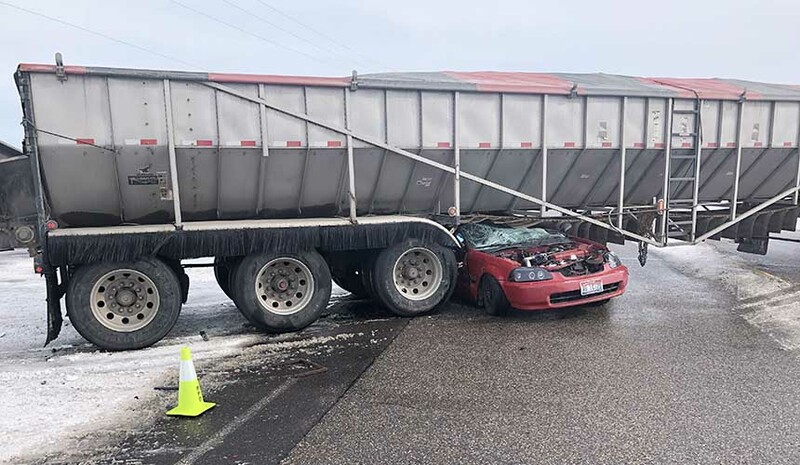 REXBURG — A car crashed into a potato truck and was crushed Tuesday — and no one was hurt, emergency officials say. 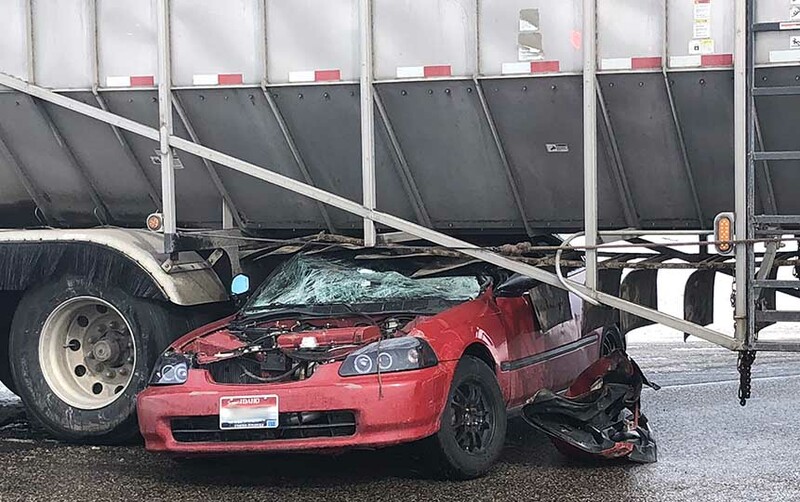 Rexburg Police Chief Shane Turman said the crash occurred near Rexburg Motorsports on University Boulevard around 12:30 p.m.
Police officers at the scene say a red car was heading westbound on slushy roads and was unable to stop as the truck was pulling out of a parking lot. 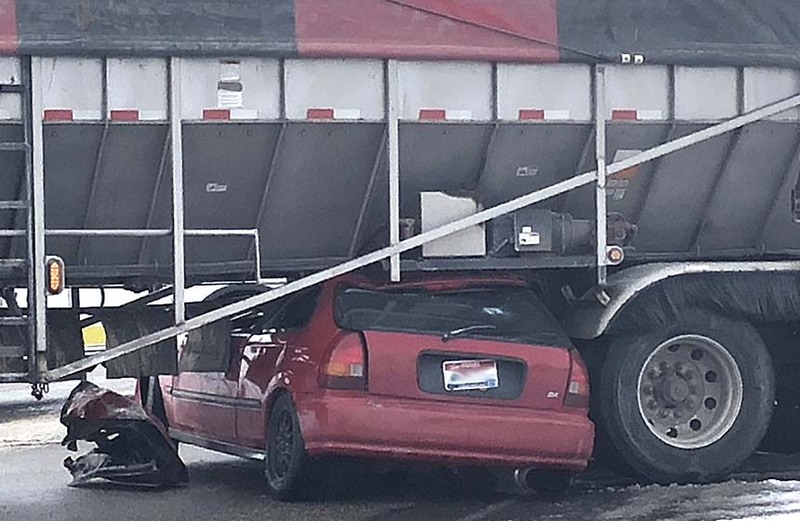 The car slid underneath the truck. 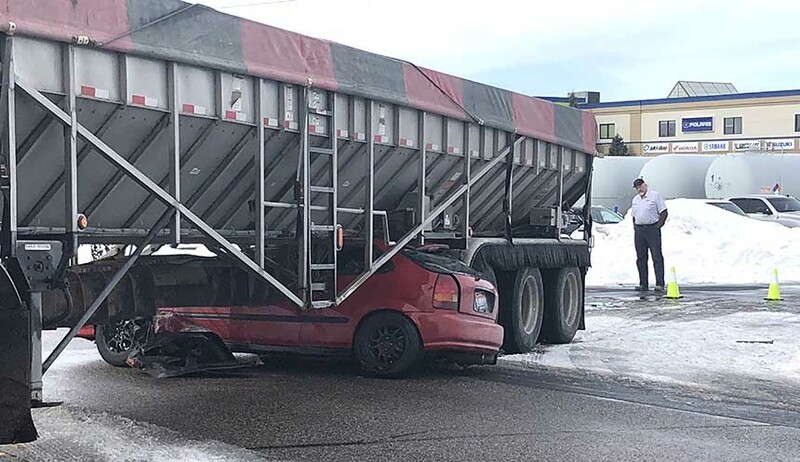 The driver and the passenger in the car were uninjured and were able to escape out the back window. The driver of the car was cited for speeding in unsafe conditions. Authorities say they expect to have the crash cleaned up before nearby Madison High School releases students.